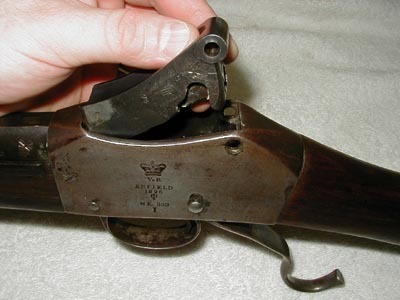 This procedure is based on the Musketry Instruction Book of 1895. Firstly, breechblock is first out and last in, (for soldiers of that time, it was the only part that was permitted to be removed for cleaning). Make sure the weapon is unloaded and decocked. 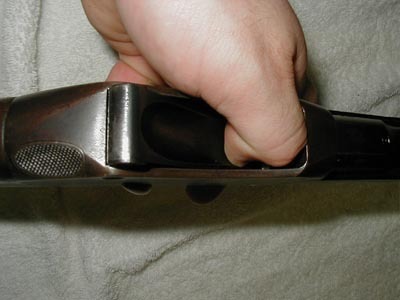 How to properly decock a Martini-Henry...open the operating lever and keep your hand pressing the lever in the down position. 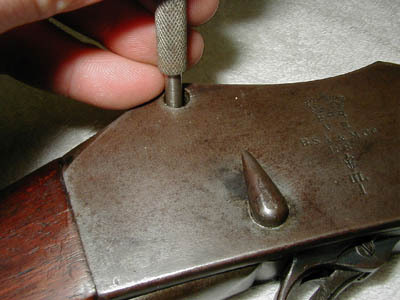 While doing this, pull the trigger and gently ease the operating lever back upwards into its catch. Drift out the breechblock split pin with a small punch and mallet. Be sure to drift it out from the split side! Hold the operating lever open about 1 inch. 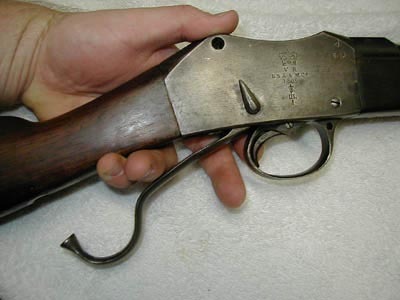 I've found that stuffing my fat fingers between the buttstock and the operating lever and letting the lever clamp against my fingers works pretty well. Some may find this uncomfortable. 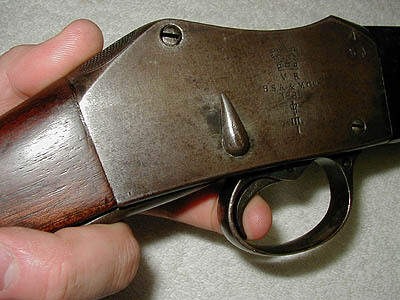 Press down on the front of the breechblock with a thumb or finger. The rear of the block should easily pop up. Remove the breechblock! Piece of Cake, huh?